It’s a new day, and it’s a new dawn for Nigeria’s liberal democracy, as the people of Africa’s most populous nation turn their backs on a sitting president and his ruling party that have ruled them since 1999. Today the majority of Nigerians say its time for change. This is an historic and unprecedented political milestone for Nigeria, a country known for its perennial military coups and political violence. And there are reports, the defeated president of Nigeria – Goodluck Jonathan has telephoned the winner of the presidential election ex-military strongman General Buhari (Photo), in advance of the country’s Electoral Commissioner officially declaring the winner. The 72 year old Buhari and his All Progressives Congress Party (APC), have achieved a momentous electoral success, unheard of in Nigeria and certainly throughout most of Africa. With corruption, dilapidated infrastructure, poor governance, poor access to electricity and water supply across the country, the population of over 170 million Nigerians have spoken at the polling booths. The majority have waved good bye to president Goodluck Jonathan and welcomed change – a change they can believe and trust, a change that will be led and delievered by an ex-military General. 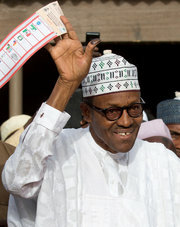 Early today, the former military ruler Muhammadu Buhari, after four attempts at the presidential polls, was leading Goodluck by almost 3 million votes, after winning 32 of the 36 districts – including Abuja. Few political analysts believed that a sitting president from the South of the country would be defeated by an ex-military General and a Muslim northerner. It seems Nigerians have had enough of the corruption and poverty that are stunting the country’s potential to become a great and powerful country in the world. 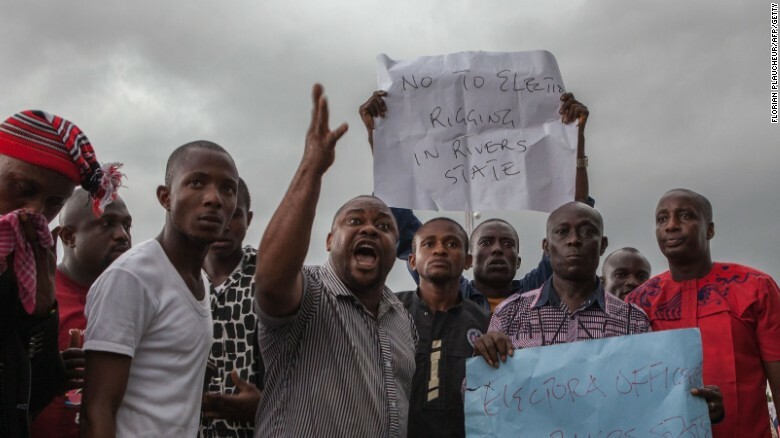 But tensions are still high in the country, especially in the Rivers State in the south, where Goodluck’s support is overwhelming. There have been talks of violence in that part of the country, should Buhari win. Buhari’s success at the polls will have a huge spin off for the country’s cohesion, as the northern half of the country that is largely Muslim, could now begin to feel empowered as stakeholders, in what sometimes looks like a divided and fractious nation. Buhari’s APC is a national coalition made up of defected politicians from the now ousted ruling PDP party and a few progressive parties. Nigeria is the most populous country and has the largest economy in the continent of Africa. But politically, it had failed since its independence to politically punch above its weight. Described as one of the most corrupt countries in the world, and poverty endemic in most regions, today’s defeat of the incumbent president Goodluck Jonathan, will be seen as highly significant for West Africa in particular and the continent in general. In Sierra Leone, a country dogged by rampant corruption and obscene poverty and poor governance, presidential elections will be held in 2018. Today’s electoral success at the polls by the opposition in Nigeria, will most certainly help in shaping political thinking and self-belief in Sierra Leone. It will also boost the confidence of Sierra Leone’s main opposition SLPP, and discourage the ruling All Peoples Congress party from electoral malpractice and the massive rigging of votes at the forthcoming polls in 2018. 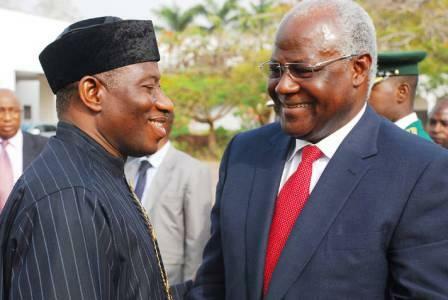 But more importantly, Nigerians have shown that if they cannot tolerate the denial of the will of the people after they have spoken through the ballot box, president Koroma and his cronies will not be encouraged by General Buhari to so. These are interesting times, not only in Nigeria, but in Sierra Leone too, as 2018 beckons. Will Sierra Leone’s ruling APC concede defeat to the opposition in 2018, as the ruling SLPP did in 2007? 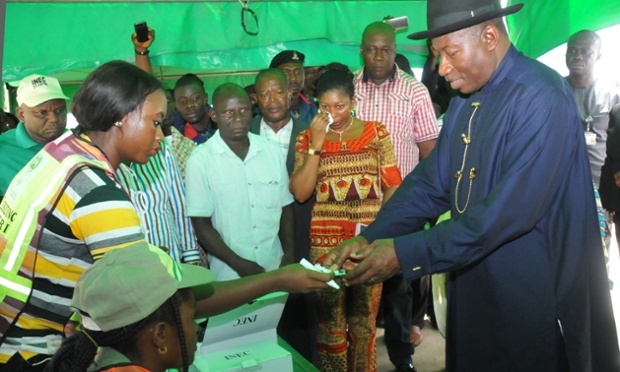 Outgoing President Goodluck Jonathan has behaved like a statesman and I take my hat off to him. He actually called Mohamadu Buhari and congratulated him on winning the elections. This is unheard of in Nigeria and he will go down in history for this. I will not be surprised if he wins the Mo Ibrahim prize. Good luck to you, Mr Goodluck.